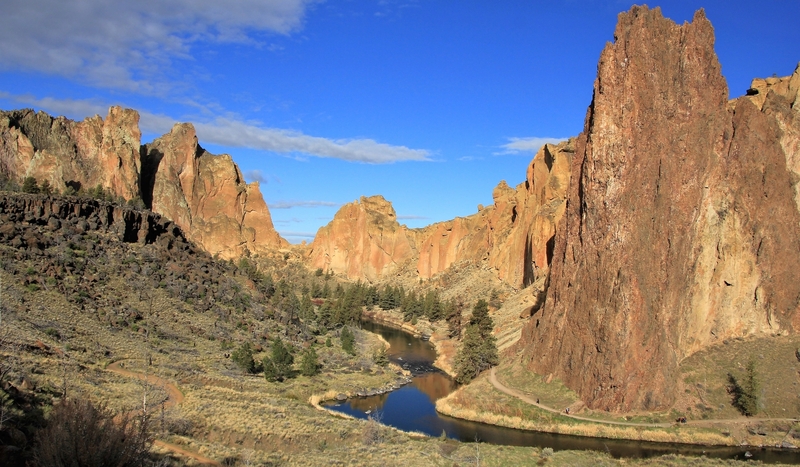 Smith Rock is a 650 acre state park in central Oregon’s high desert. 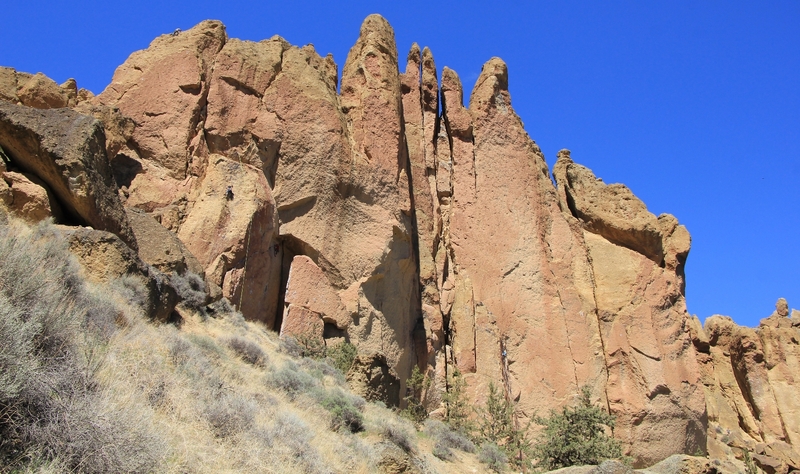 Its towering cliffs of tuff (compressed volcanic ash) and basalt present nearly two thousand rock climbing routes. 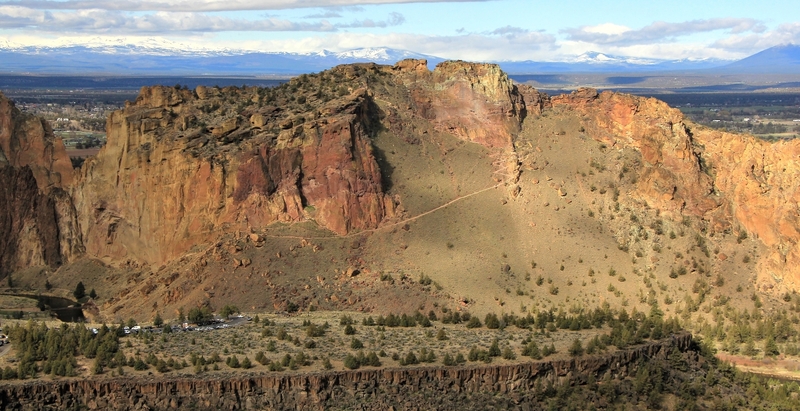 At first glance, it really just looks like a big rock sticking out of the otherwise flat landscape. 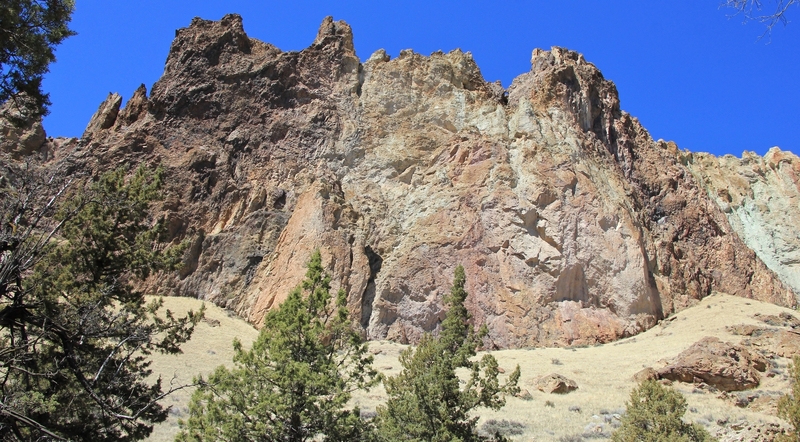 Upon closer inspection of a map, Smith is a maze of towering rock walls with intriguing names like Dihedrals, Marsupials, Monkey Face, Christian Brothers, Morning Glory Wall, Rope-de-Dope, Ships and Gullies, and West Side Crags. 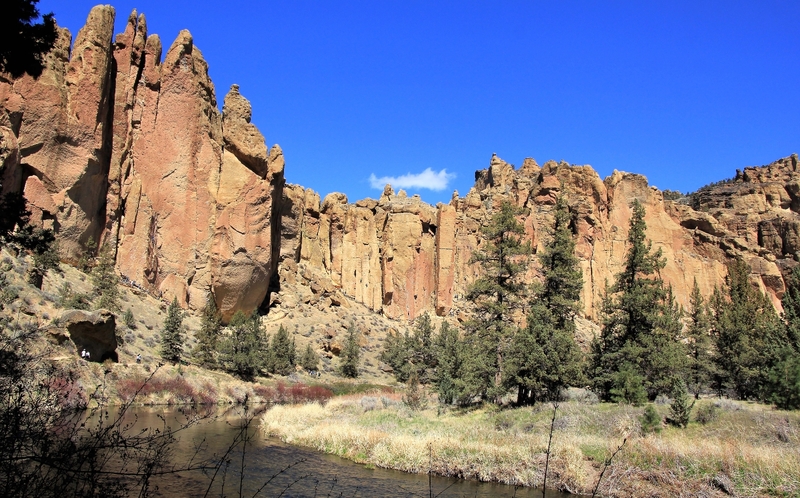 If those names aren’t enough to stir the imagination, the colors and shapes of the cliffs, meandering waters of Crooked River, and far reaching views of snow-covered Cascade peaks will make you forget an outside world exists. 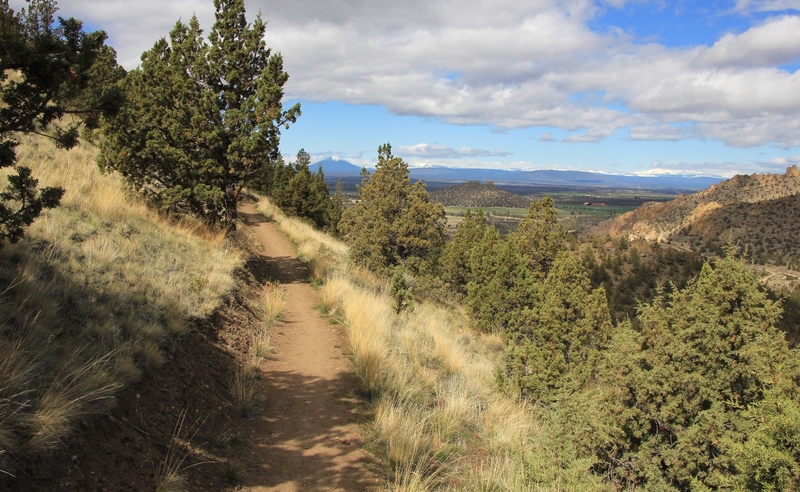 In addition to its popularity as a world class rock climbing location, Smith also offers trails of all difficulty levels including the popular Misery Ridge Loop and the longer and quieter (but no less impressive) Summit Trail Loop. 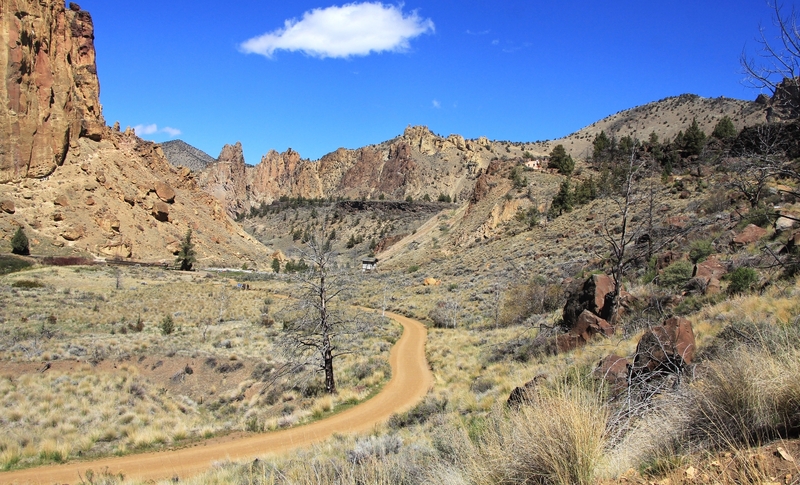 For our April 2018 vacation, I planned for us to spend two days at Smith with one day dedicated to each of these trails. 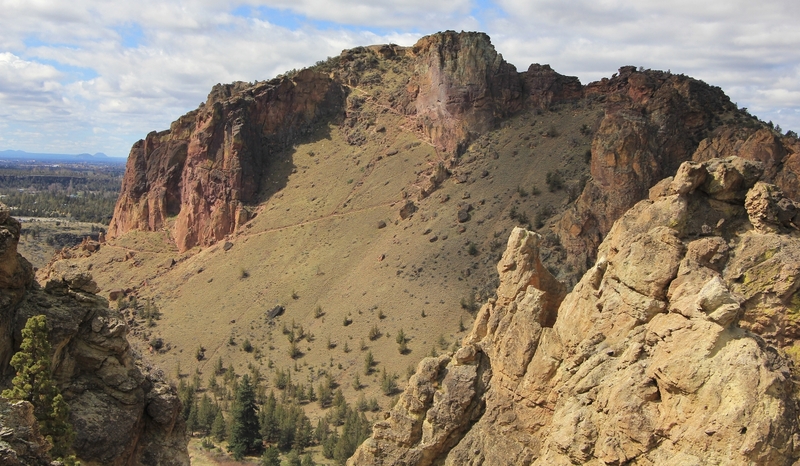 The Smith Rock hiking guide rates both as “most difficult”, but there are trails here for everyone. 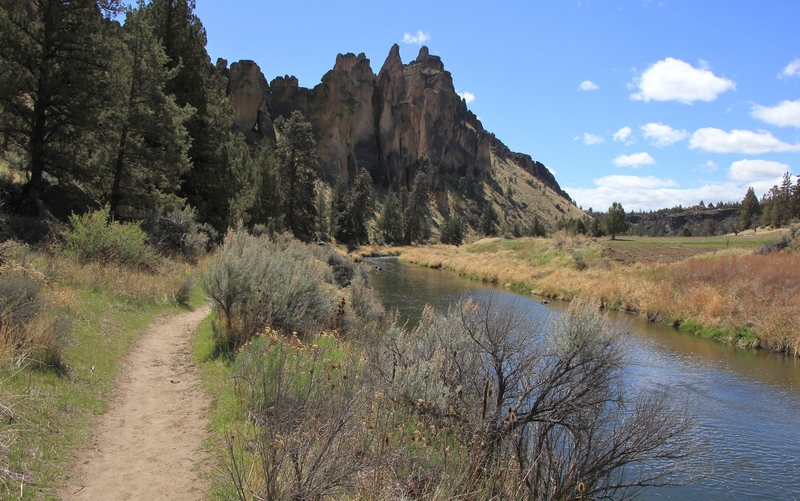 Check out the park’s excellent trail guide to find the best option for you. After a fantastic first day at Smith on the Misery Ridge and Canyon trails we were ready for another day of stunning scenery. 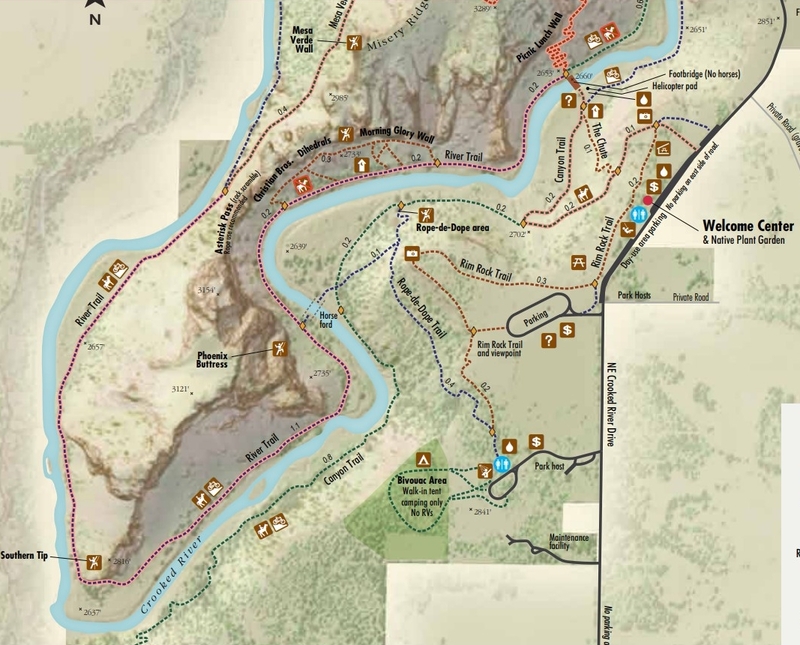 Our hike for day two would combine the Canyon, River, Wolf Tree, Burma Road, and Summit trails to make a 7.7 mile round trip circuit around the park. 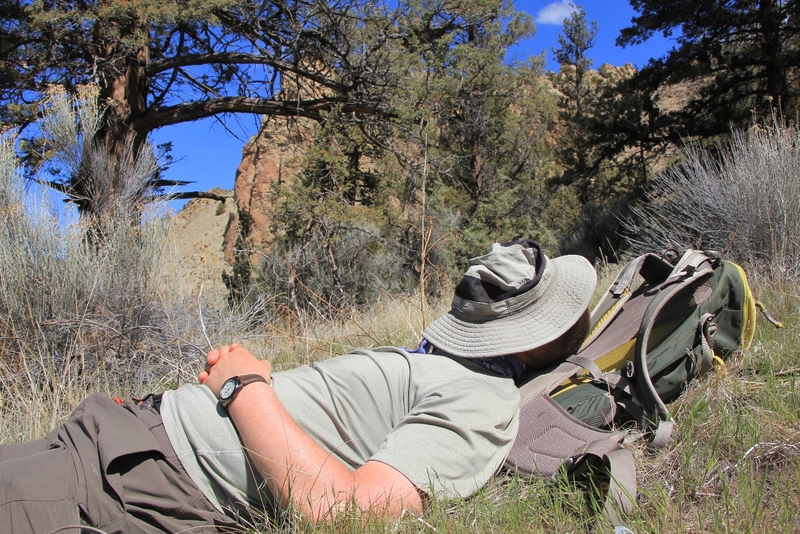 If you want to take in the whole scope of what Smith has to offer, this is the hike for you. It was another cool spring morning at Smith. We hit the trail around 8:00 with partly sunny conditions. Clouds were obscuring the Cascade peaks to the west and we were expecting conditions to become cloudier throughout the morning. Much of the parking lot was already full as we arrived in a steady stream of cars. I recommend arriving early if visiting on a weekend! 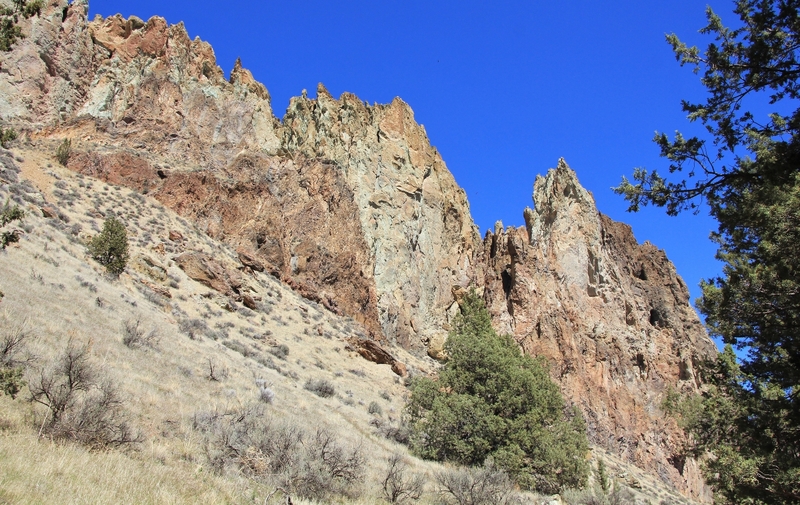 From our parking spot near the welcome center (elevation 2,846′), we dropped approximately 200′ down the Canyon Trail, crossed Crooked River, then turned right onto the Wolf Tree Trail. 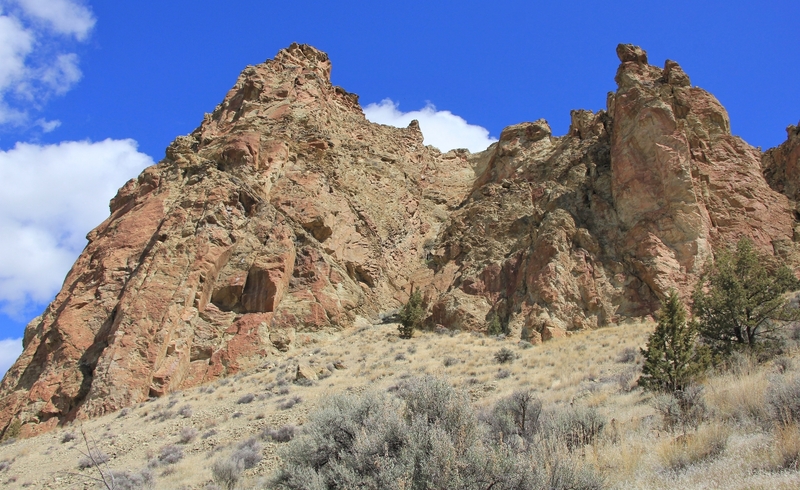 The park trail guide describes this hike in the opposite (clockwise) direction. We chose to do it counterclockwise which would provide for a more gradual descent on the knees (damn IT band issues). We had quite a bit of trail company as we worked our way downstream on the Wolf Tree Trail. Mostly we were accompanied by rock climbers decked out in full gear. I knew they would split off toward the rocks eventually, but they continued on the trail with us much longer than I expected. 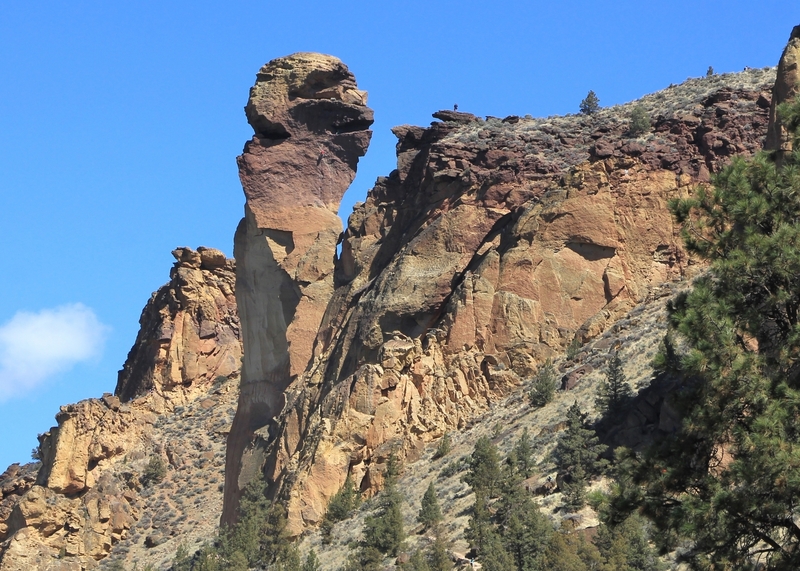 I later realized it was because we were passing beneath The Monument, a popular rock climbing area that seasonally closes to climbing to protect raptors. 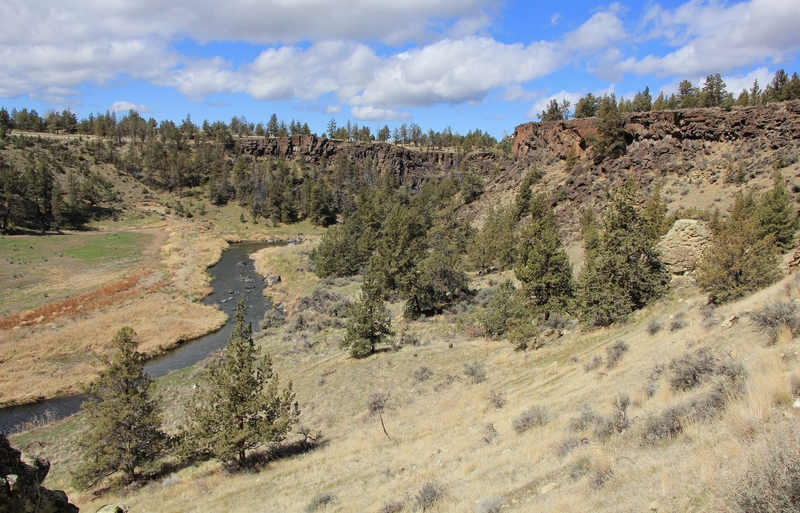 Smith is prime raptor breeding habitat attracting peregrine and prairie falcons as well as golden and bald eagles from late winter through early summer. 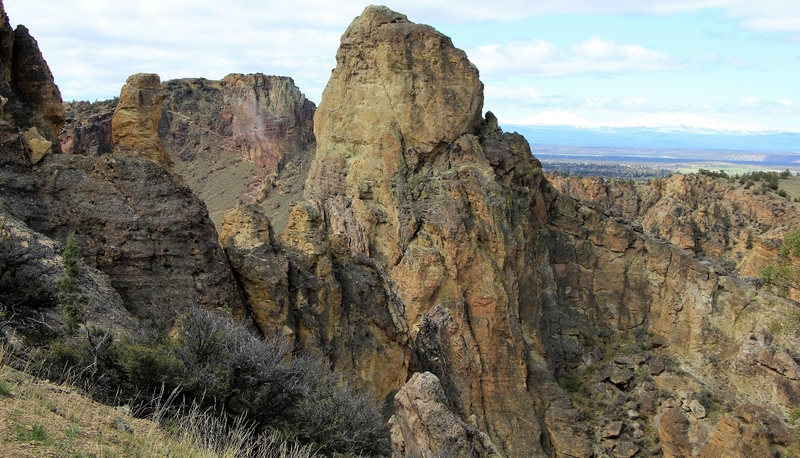 Check here for climbing route closures (trails remain open with advisories). At approximately 1.75 miles from the TH, we turned left at a trail junction. To the right was signed Student Wall, to the left Burma Road. 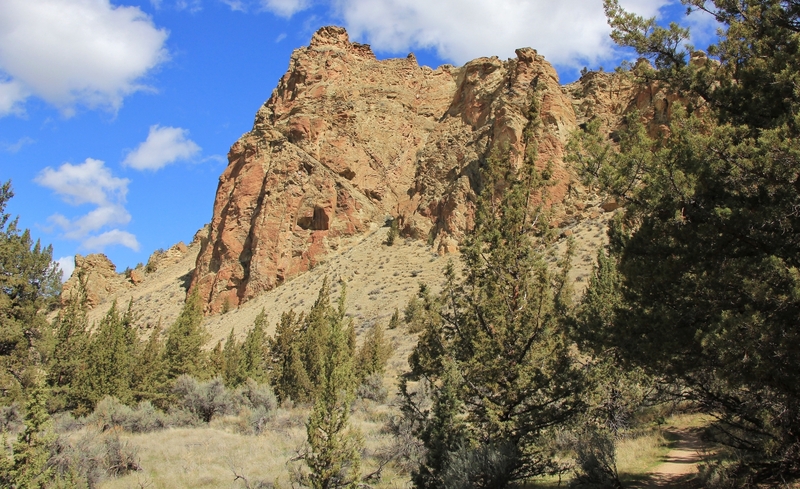 The final quarter mile long stretch of Wolf Tree was a steep climb up a rocky slope with great views back at The Monument. The lung burning stretch was over quickly and we soon found ourselves at a junction next to a large group of beginning climbers receiving instructions. This junction was the end of Wolf Tree and beginning of the Burma Road Trail (the park map identifies this as N. Unit Irrigation Access Road). 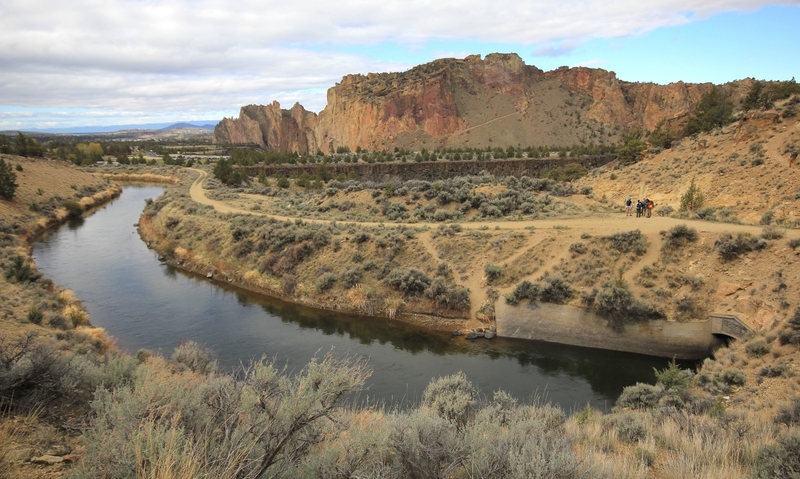 Now a trail, this single lane road was built in 1945 to service the irrigation canal and tunnel which are still in operation today. We found ourselves above the canal and it was interesting to see the water disappearing into the mountain side. Passing over the canal, we left most of the climbers behind as we began our mile long climb up the moderately steep and rocky Burma Road Trail. 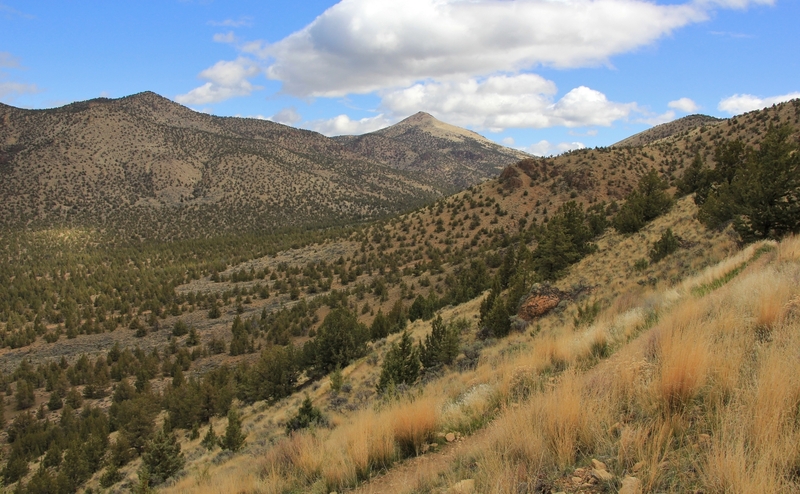 During our climb, we had great views to the west of the Misery Ridge Trail where we had hiked the day before. I was hoping for fantastic views of the Cascade Peaks beyond, but they were lost in the clouds. 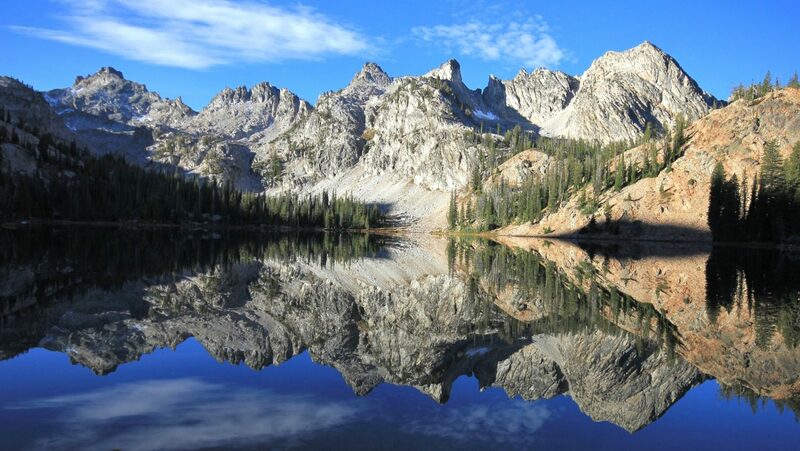 I would like to return and hike this trail on a clear day. 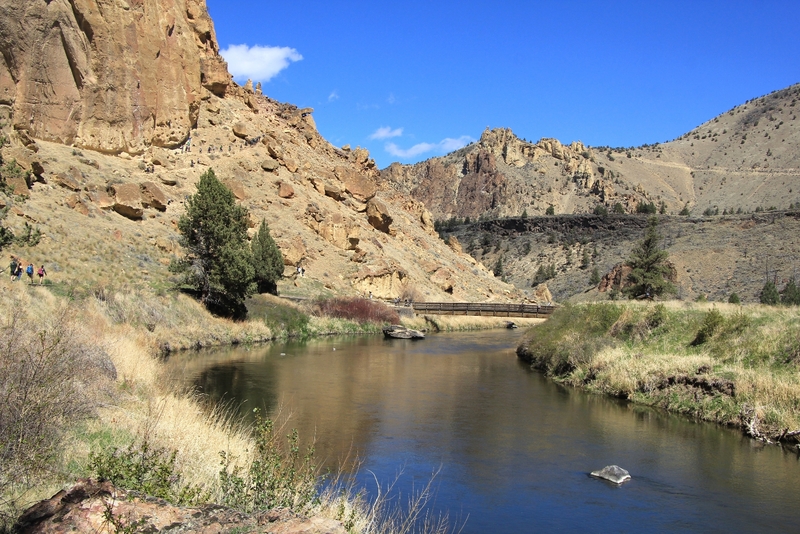 We took a break at the top of Burma Road, elevation 3,569′, a 900′ climb from the river and 2.6 miles from the TH. Views were amazing and would have been even more so had those Cascade peaks not been lost in the clouds. 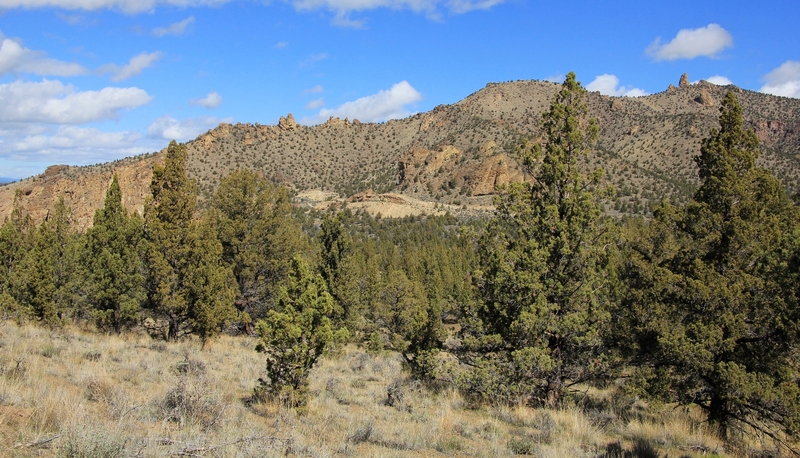 We could see a trail climbing Grey Butte to the east on BLM land. A man we talked to the day before said that was a nice hike, so it has been added to the bucket list. At the top of Burma, we found ourselves at a four-way junction. 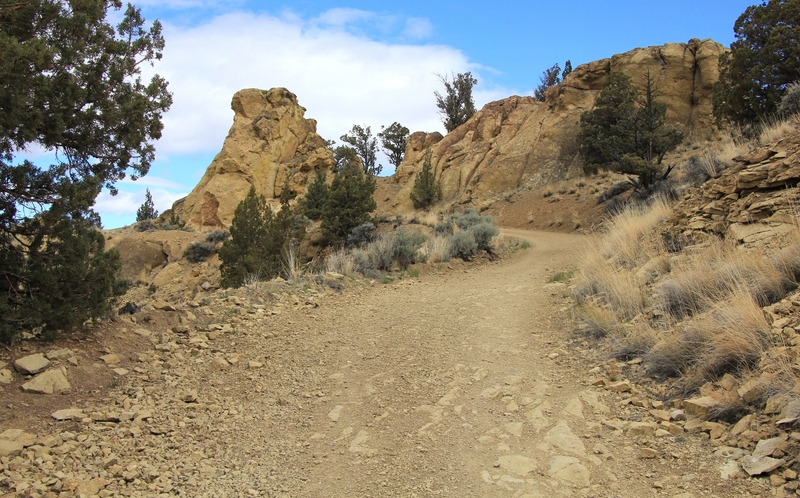 To the right, a narrow trail took off toward Grey Butte. Ahead, the Irrigation Access Road continued. To our left, the Summit Trail began. 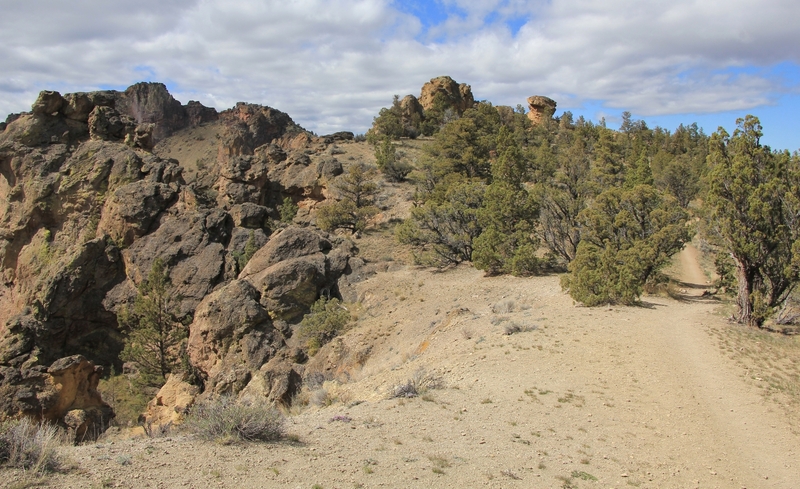 We turned left onto Summit and began a 2.2 mile long, mostly gradual descent to the River Trail. 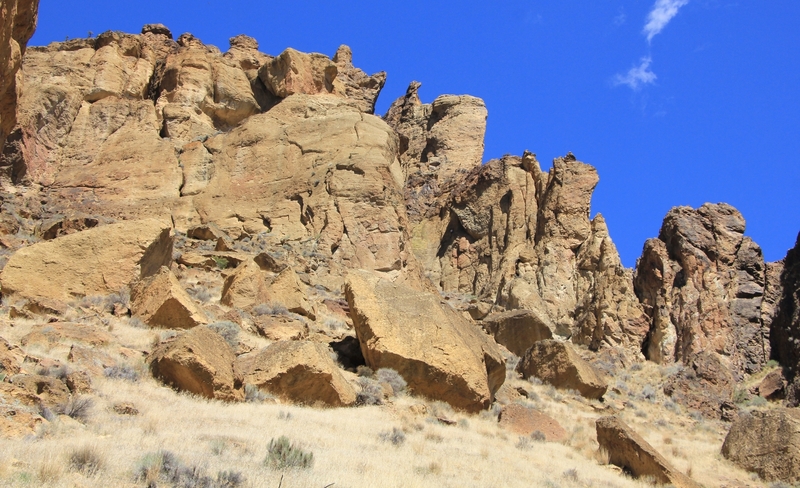 Over the first mile of the Summit Trail, we were treated to stunning views of The Monument and over to Misery Ridge. The Summit Trail was an enjoyable stretch. 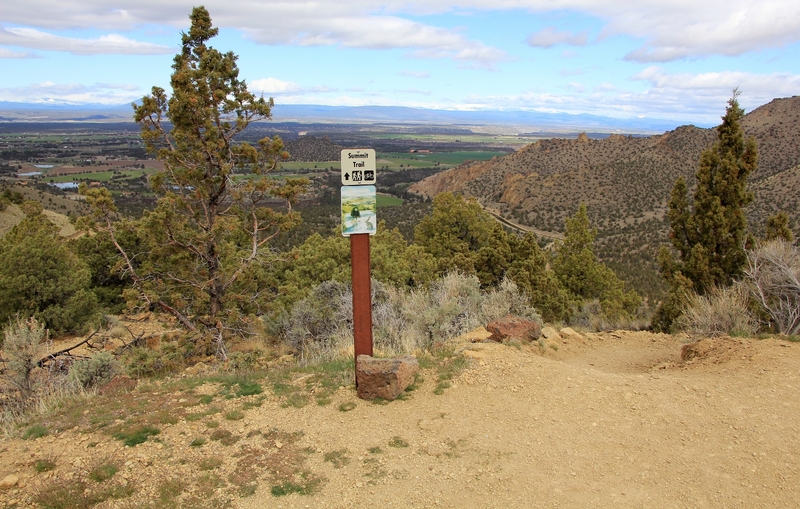 The descent was gentle, trail tread was good, we only saw a few people, and the scenery was nice. As we descended, the skies finally began to clear off and it turned into a beautiful late morning. 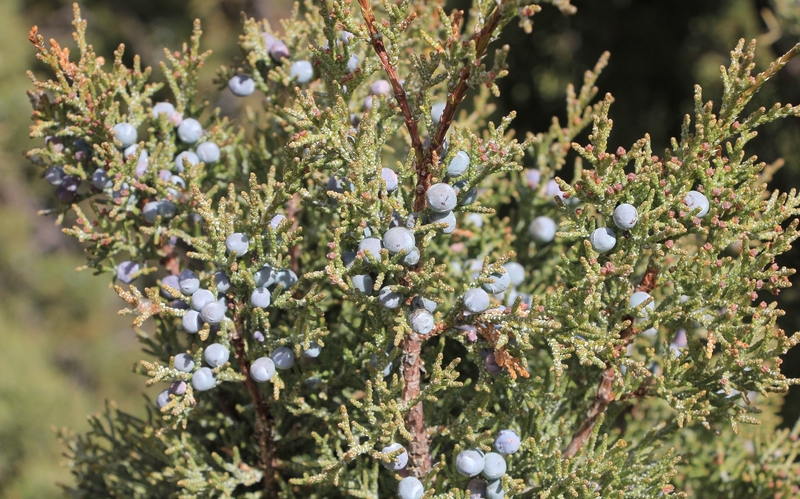 I especially enjoyed hiking through the juniper which, combined with the spectacular rock formations, reminded me of hiking in Utah. 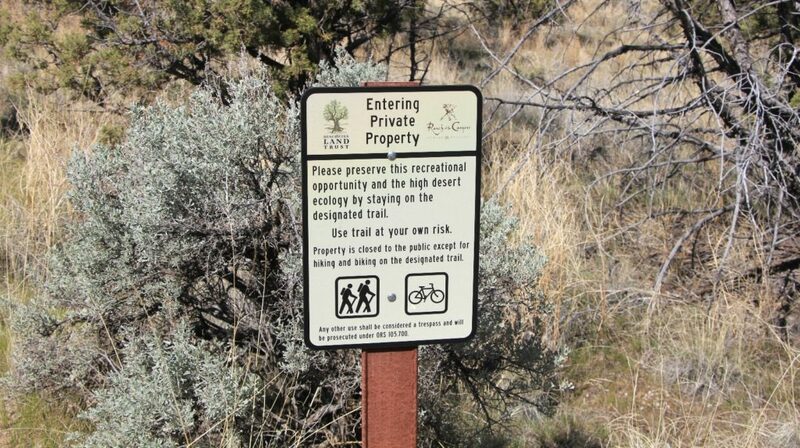 Just before we came into sight of Crooked River, we crossed over onto private property. 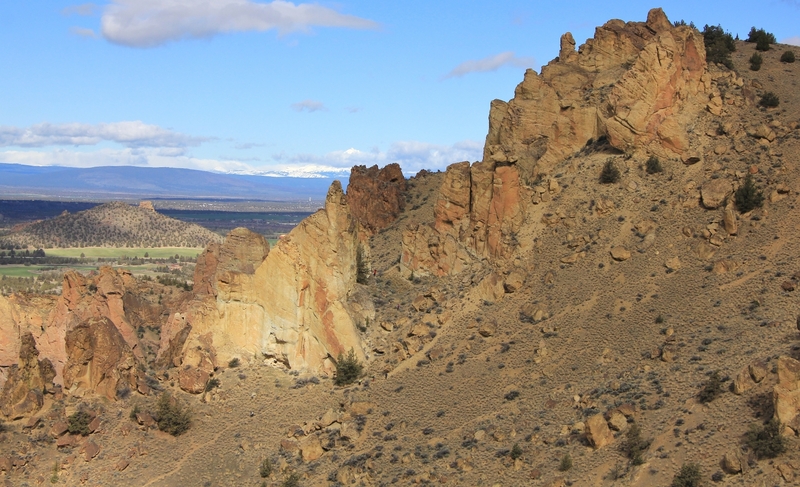 Thank you to the land owner for allowing this access—it makes a truly spectacular loop hike possible. 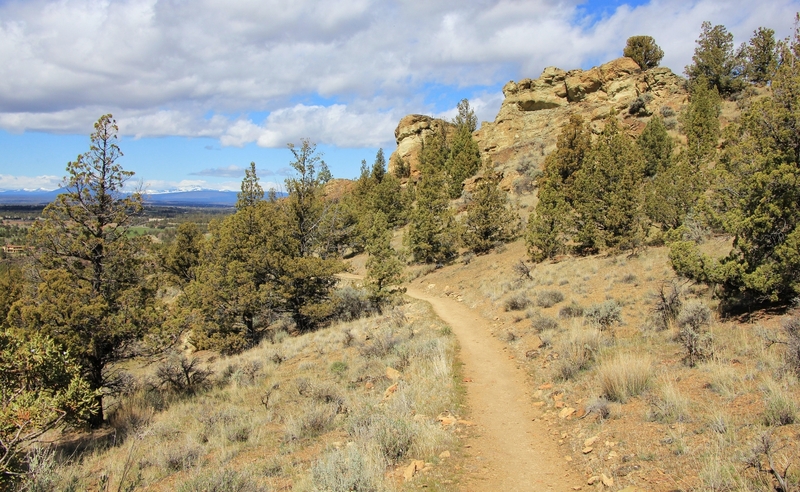 Please be especially respectful along this short stretch and do not leave the trail. After joining the River Trail, it was half a mile to the Mesa Verde Trail junction where we had bottomed out from Misery Ridge the day before. 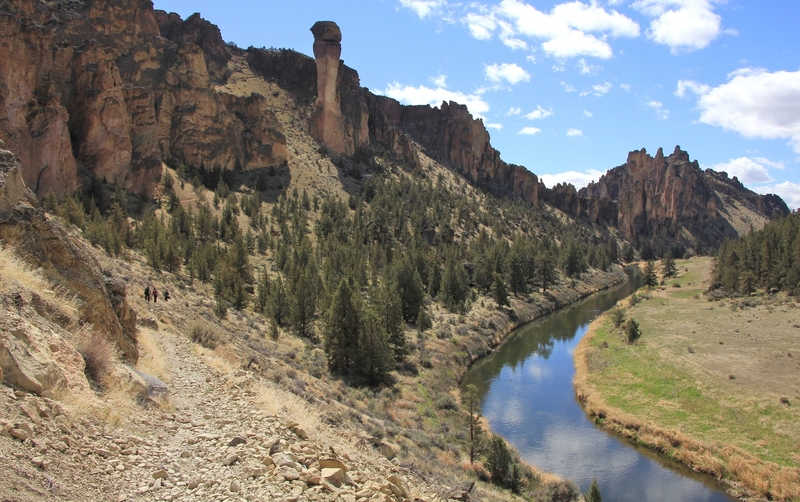 Along this stretch of trail, we had great views down to Crooked River and up at towering Monkey Face. 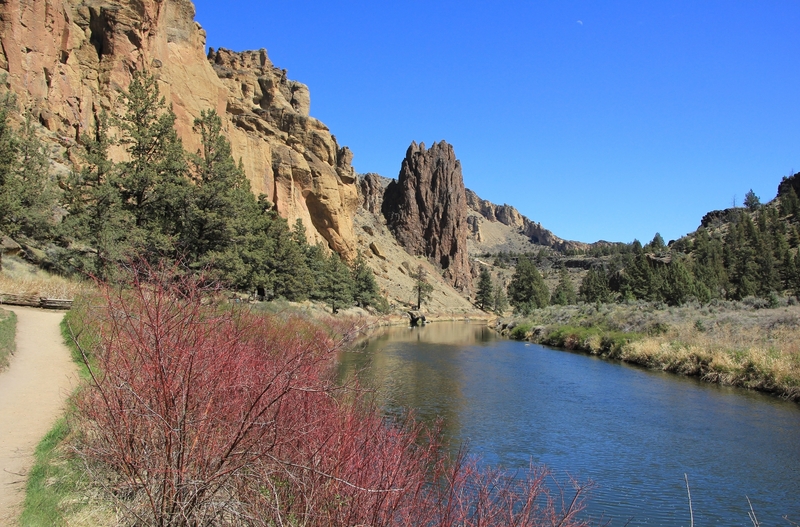 Dropping down to Crooked River, we found a quiet spot along the river for a nice break. We stretched out, had a snack, and lounged in the sun and mid-60 degree temperatures. It wasn’t until we resumed hiking that we saw a sign not to enter that area…the sign was only visible when hiking the opposite direction so there is no way for people hiking the loop counterclockwise to see it. Still, we felt like real jerks! We always respect area closures and strongly urge others to do the same. 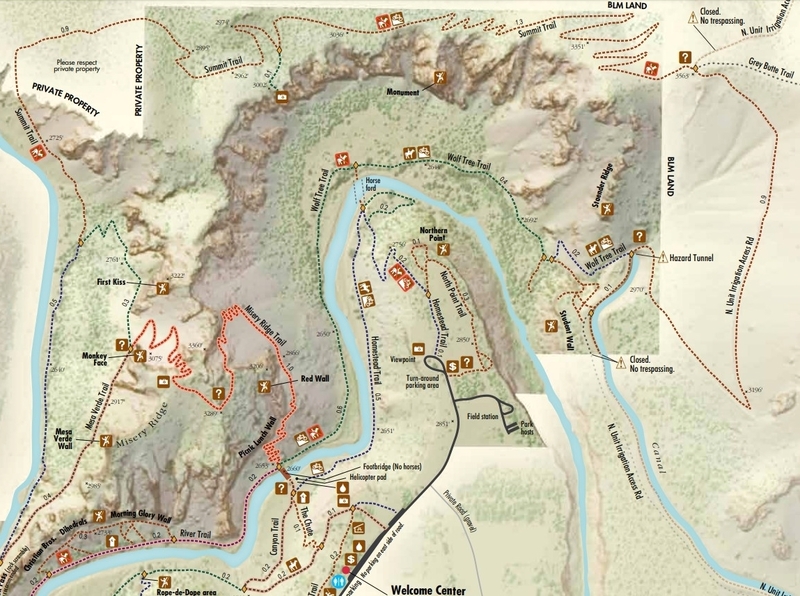 After reaching the Mesa Verde Trail junction coming down off Misery, we continued straight on the River Trail. We were now on the same stretch of trail we had hiked the day before. If you have to retrace your steps, this is a pretty fantastic trail to do so. 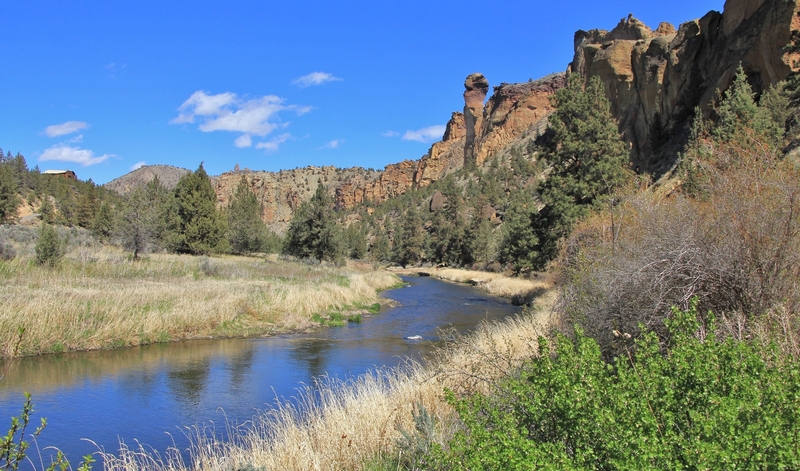 On the west side of the peninsula, you have tranquil views of Crooked River. 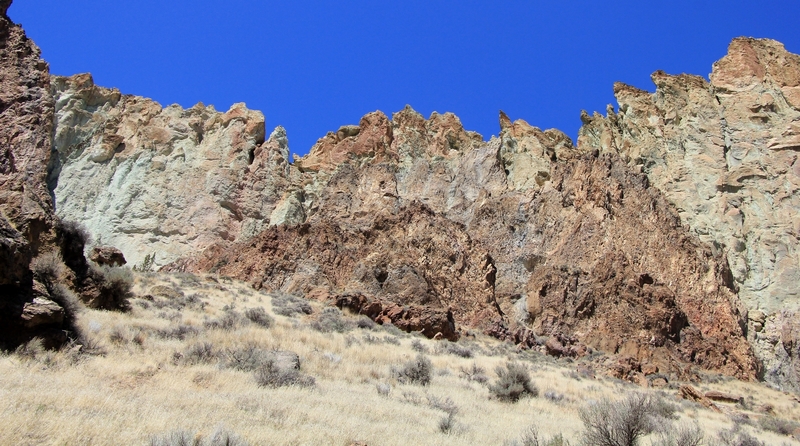 On the east side, you’ll constantly be staring up at the colorful cliffs. This is a popular stretch of trail and traffic was fairly heavy for the rest of the hike. From the Mesa Verde junction, it was about 1.75 miles back around to the footbridge followed by a half mile climb back up Canyon Trail to our car. 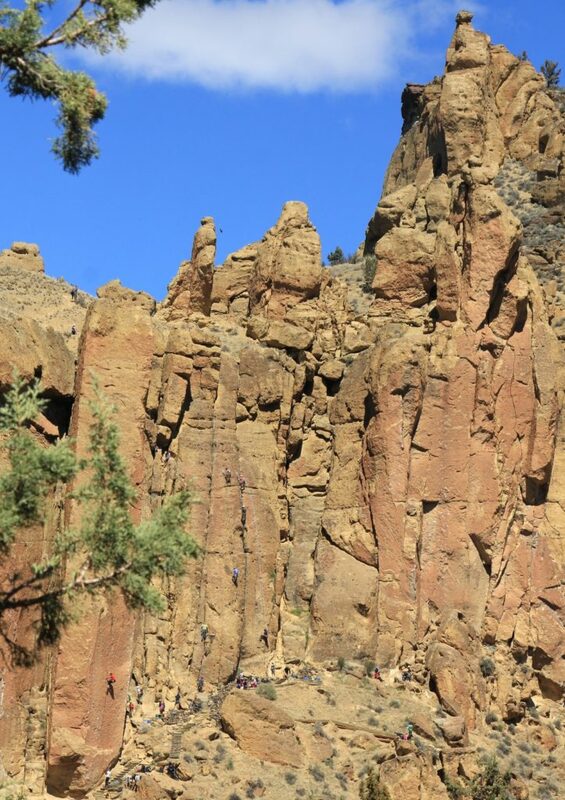 We saw significantly more rock climbers than the day before. It seemed everyone was out enjoying the beautiful spring day. 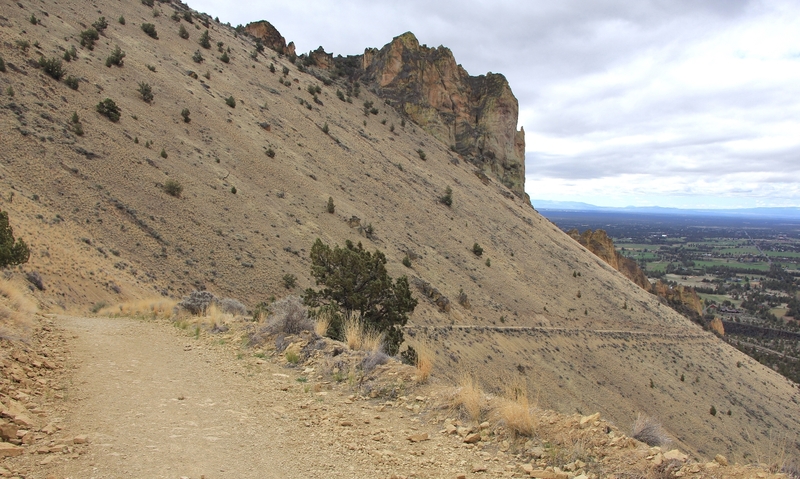 Back at the car, our GPS showed 7.7 miles and I estimated we had climbed around 1,500′ elevation (the Smith Rock website puts the gain at 1,664′). 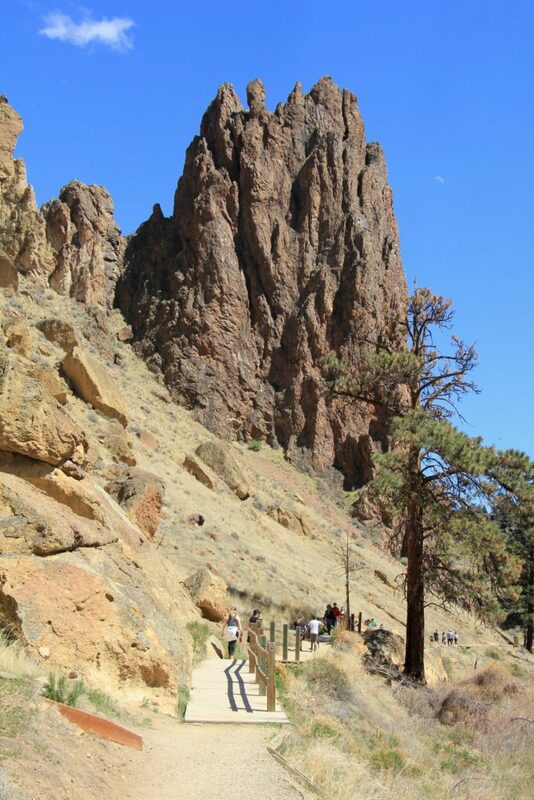 For those up to a trail of this difficulty, I highly recommend this loop around the park. You’ll be treated to a little of everything! 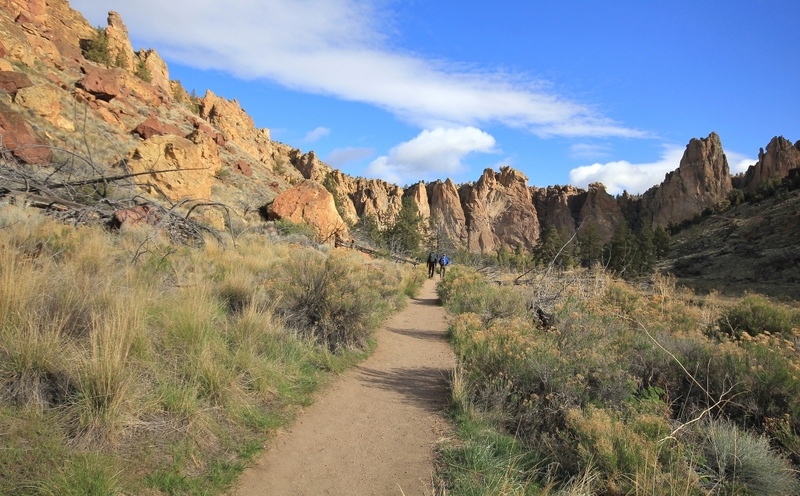 For us, it was a great way to end two spectacular days at Smith Rock State Park. Post hike burger: we made our way to The Deschutes Brewery in Bend. It was a very busy place for the middle of the afternoon. 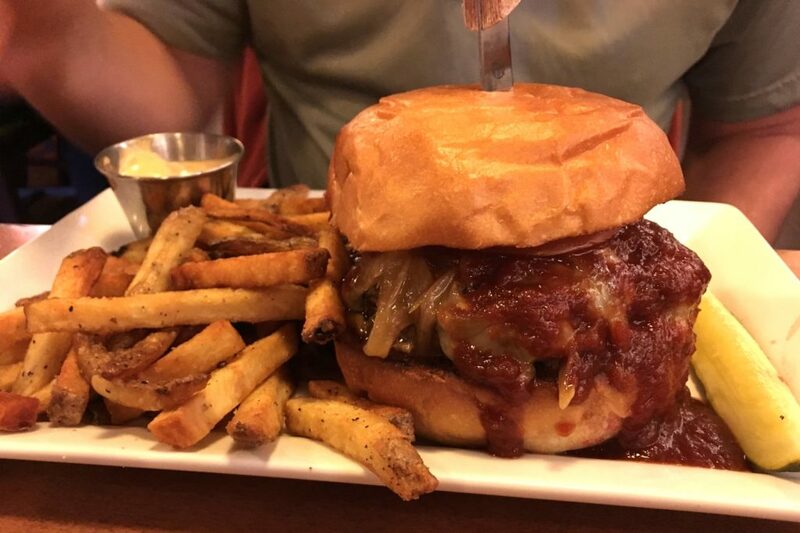 We both had their Bond St. Burger which was a barley beef patty with pepper jack cheese, caramelized onion, bbq sauce, spicy mayo, and the works on a brioche bun. It was a solid burger and service was above average. We give this burger experience a B+ rating. 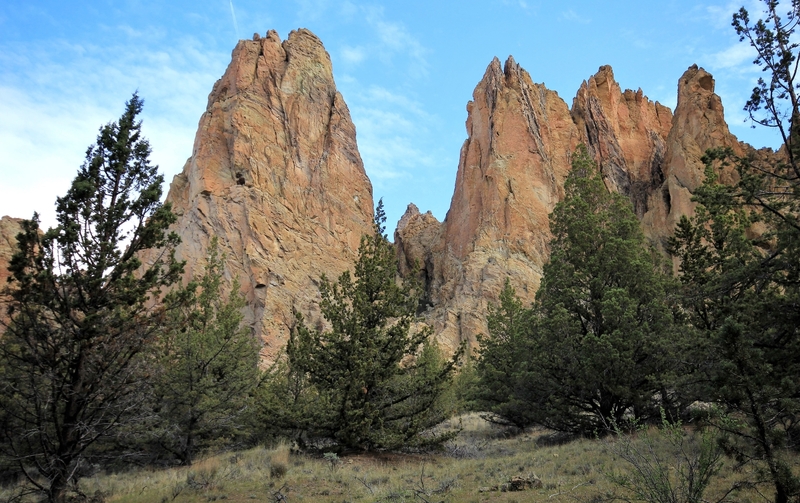 Directions to Smith Rock State Park: from Redmond, Oregon, travel north on US 97 six miles to the small town of Terrebonne. 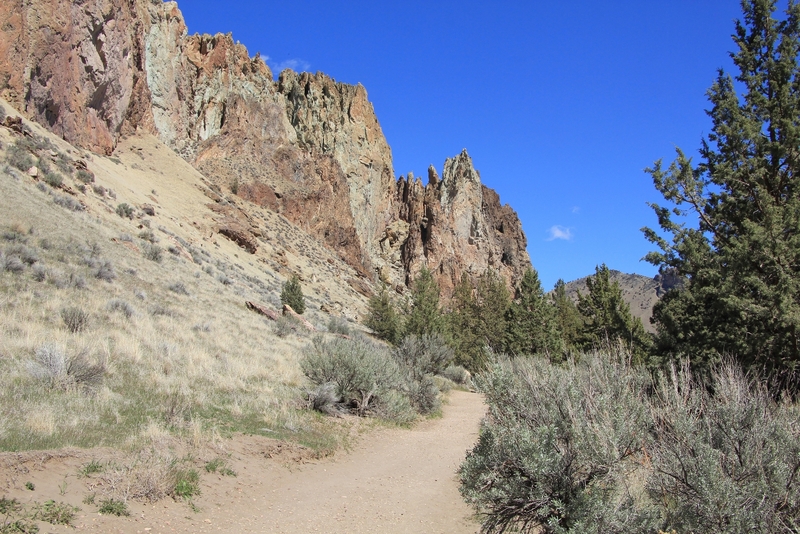 Turn right at the sign for Smith Rock State Park and follow signs the short distance to the park. 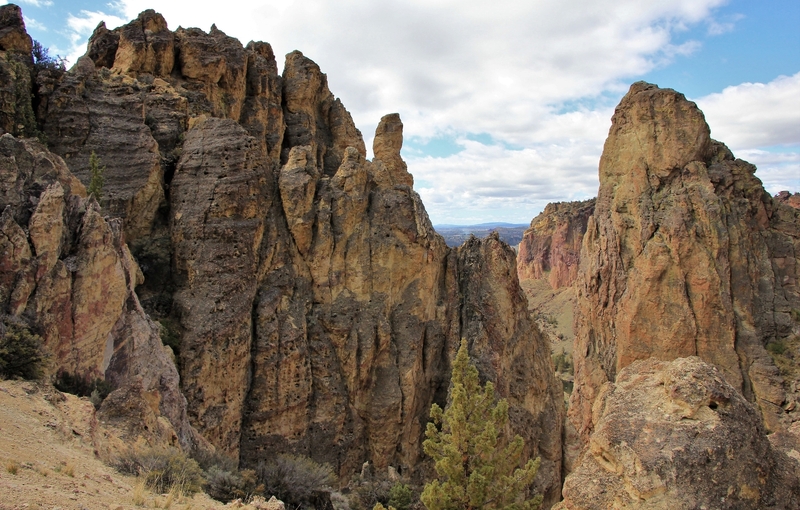 An Oregon State Park Pass or daily pass ($5) is required for all visitors. There are three fee stations available (one in RV parking lot, one just past the yurt Welcome Center, and the Northern Point area at the end of the road (closed during winter months). Open dawn until dusk daily. Hi Lucha , love the photos you took . 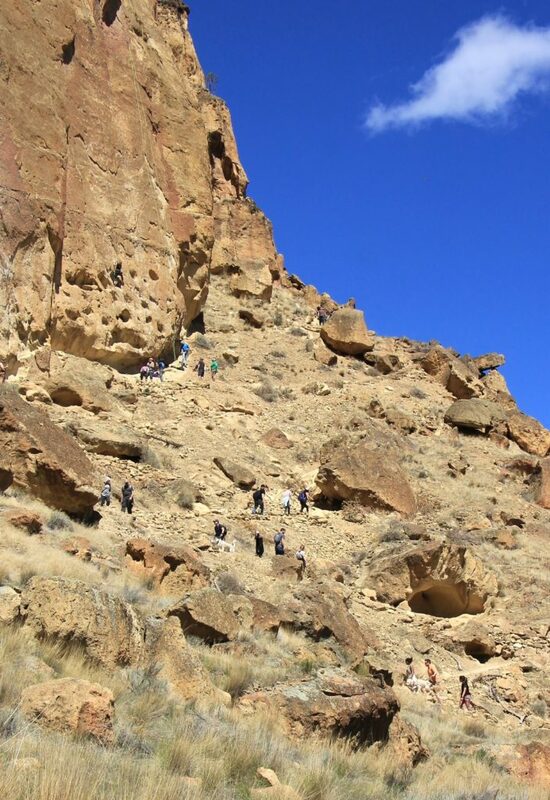 As I have told you my oldest son , his son and one other grandson are avid climbers , so late March through the month of June they are there often climbing and I travel with them for the hikes and photos . You are right about this place being popular , it can get jammed in the summer months . I’ve done this same route only clockwise ( been a few years ago though , would be a little tougher for me now ) and the views are great . Never done Gray Butte . I think that you would like that one for sure . Wish I’d have known you guys were going to be coming my way , I’d have done the Misery Ridge one with you . I prefer going clockwise on that one too . Wishing you and Jason a very Merry Christmas and a Happy New Year ! Thank you for the comments Rich. I sure would love to watch your sons and grandson climb. It is truly amazing what they do. We really enjoyed the conversations we had with a couple of the climbers. This loop hike was really great. While the core of Smith was packed with hikers and climbers, we saw only a few people while in the northern half of the park. Just wish conditions had been more clear for those great views of the cascades. I know I thought of you while we were there (and we also spent a day at Silver Falls). I figure you live someplace close by. Our trip was originally supposed to be to Utah and plans changed at the very last minute so it would have been very short notice. We plan to do a lot more traveling next year (see our recent post about leaving our jobs) and would love to meet you after all these years. Perhaps a hike to a beautiful waterfall?? I’m waiting on a surgery date for a close family member – once I have that I’ll know our schedule and destinations better and will be in touch. A very Merry Christmas and happy 2019 to you and your family! Definitely never a shortage of things on the bucket list! I’ve always admired all the places you go, you are a real inspiration Rich (not to mention a Coug alum!) Be sure to let us know if you come up this way.